We are excited to announce our next retreat collaboration in Goa, India, with ChayaYogaRetreats. Our intention for this special community retreat is to come in to union. With our families and within ourselves. Join us in India, the home of yoga, where through yogic practices, ritual, healing treatments, community, sharing, nourishment on all levels, we will practice embodying the true meaning of yoga; ‘union’ and ‘connection’. We will invite in the integration of all parts of being; both in our outer world relationships and our inner world selves. We will also call in the beautiful union of the divine masculine and feminine and the alignment and connection of our bodies, hearts and souls. Book now for this incredible retreat, attend with one child or more, or other parents and siblings. 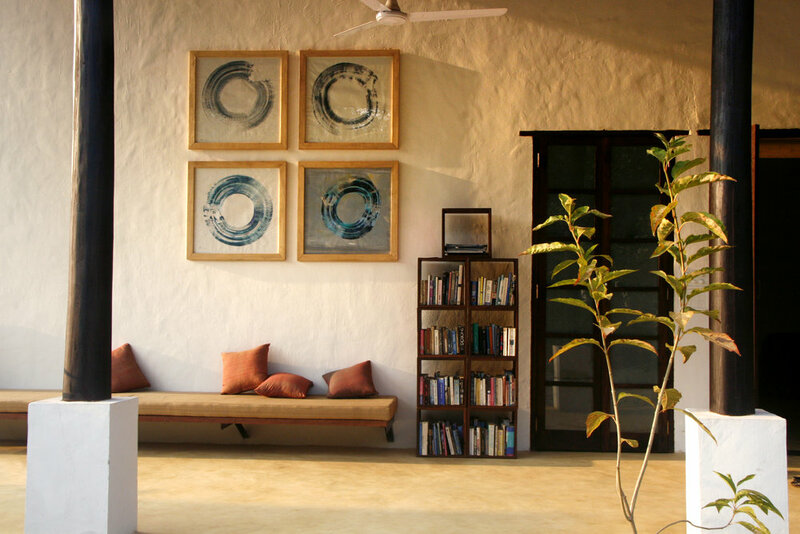 Set amongst cashew and mango groves and only minutes from the magnificent Ashwem beach, is one of Goa’s most luxurious eco retreats; Kaju Varo. Winning Conde Naste Traveler's award for best luxury boutique stay in Goa, this is a truly awe-inspiring home for HolyMama. Each individually designed eco-lux villa demonstrates contemporary elegance and minimalist design, creating a perfectly private, serene and peaceful environment for our guests to unwind. The team at Kaju Varo are truly are amazing and will look after your every need. 7 nights/8 days accommodation in Deluxe Double room with a private balcony. 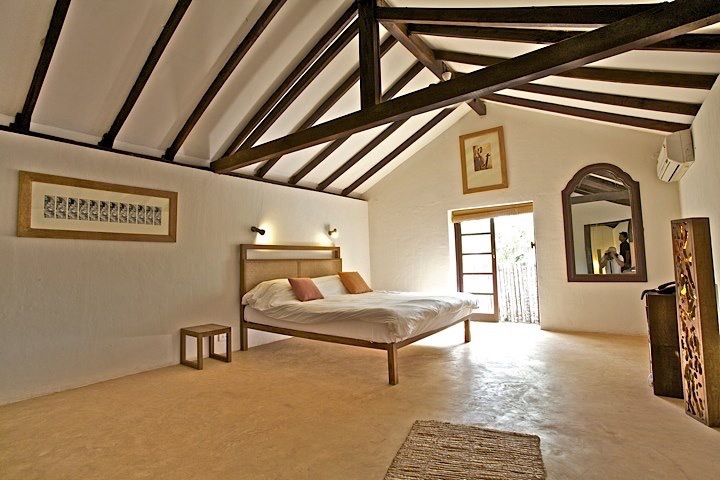 The room is fitted with air conditioning and ensuite bathrooms. Flights to and from Goa, India which are affordable from all main airports and your outbound transfer which will be arranged with reception at retreat. Paula shares her joyful approach to the yoga practice through explorative, soulful, slow flow. Classes generally begin on the ground and unravel into full spectrum practices that include story, philosophy and chanting woven into a physical practice that is both challenging and relaxing. She encourages listening deeply, responding mindfully, and exploring the mind - body with curiosity and open awareness. Her background in the Brazilian dance/play/martial art, Capoeira Angola, of which she is also a teacher, brings a playful and experimental element to her classes. She’s been a student and mentee of Nicole Aarons (Soma Yoga) for 14 years and completed a classical teacher training in the Himalayas with Ganga Devi (Himalayan Yoga Institute). Since 2014 she has practiced under the guidance of Jean Hall, and is currently deepening her studies on Triyoga’s advanced teacher training lead by Jean and Anna Ashby. Her practice is also influenced by Stephanie Snyder, Bonnie Bainbridge Cohen and the Scaravelli inspired approach to practice as taught by Giovanni Felicioni. During our INTO THE HEART retreat, Paula will guide guests through a powerful and healing combination of a dynamic practice in the morning and a more introspective, somatic, restorative practice in the evening. Our intention on this retreat is to help you connect to your heart space. Through asana (physical practice), meditation, kirtan (chanting) and pranayama (breathing exercises), our twice daily sessions will begin with making space to allow for deeper listening... Gently airing out cluttered minds and bodies in order to allow release of what isn't serving you and make way for you to hear your highest wisdom. We can't wait to share our visit to India with you, and be at one of Goa's most exclusive properties, 'Kaju Varo'. 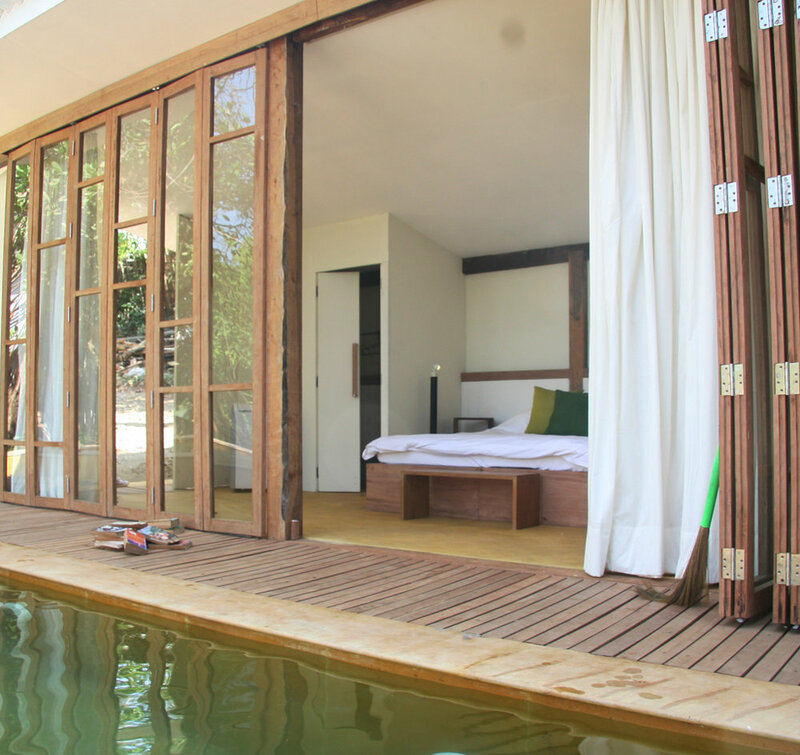 After the pool-side yoga with Paula, expect delicious, healthy menus, award-winning, luxurious and peaceful accommodation, deeply healing therapies, inspiring workshops and a whole lot of R&R for you and your family or child. This all-inclusive retreat is quite literally, a game-changer. 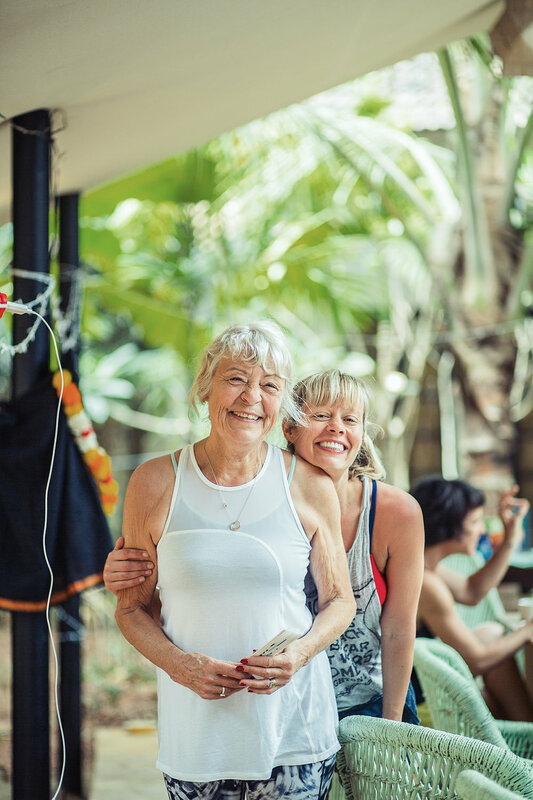 We are incredibly blessed in Goa to work with an outstanding selection of personally curated healers, therapists and practitioners across a broad spectrum of treatments. Covering the following areas: All massage disciplines, (examples include holistic, aromatherapy, Swedish, intuitive, deep tissue, sports and remedial, stomach and internal) Reflexology, Breathwork, Kinesiology, Ayurveda, Voice coaching, Reiki and energy work, plus many more. Included in the retreat will be a 1 hour treatment of choice, plus a 1-2-1 consultation with esteemed local Ayurvedic doctor, Dr Rohit. Ayurveda is the ancient, Indian holistic medical science and Dr Rohit's work is profound. Within his sessions he assesses and evaluates medical, emotional and physical issues and offers treatment plans and support where necessary. He will also outline your 'dosha' - your Ayurvedic constitution, giving insight and recommendations on how to best support you in reaching your highest happiness and wellbeing. Lucy will host a 2 hour workshop, covering wellbeing topics such as nut and seed milks, raw chocolate alongside other healthy and delicious ways to upgrade the way you eat - and the way you feel. The wonderful chefs at Kaju Varo work alongside Chaya Kitchen and are adept in catering to every desire; using local, seasonal ingredients to create a delicious, varied and healing menu. Which will balance and clear the body whilst stimulating the palate. From typical Goan feasts, to the freshest local seafood through to pure raw vegan, the award-winning kitchen will accommodate all tastes and dietary requirements. For those that want to get out and about - there are so many fun and inspiring things to do in Goa, with lots of lovely beaches and natural local sights; you can easily hire a moped or a driver for the day and explore. Or maybe take a trip to the local market town and soak up the crazy sights and sounds of a real Indian hub. Perhaps visit the magical perfumer Ramakrishna and receive a blessed personalised scent. There’s also the famed, lively night market for the shoppers, one of many shopping opportunities! So many beautiful restaurants for the foodies. And those who need more action, there's great water sports nearby. Chant in the local temples with us, buy crystals from a resident crystal expert. Let Chaya and HolyMama be your local guides and we'll tailor your experience exactly to your families needs and desires.